Stars are classified according to their spectral type, surface temperature, and luminosity. 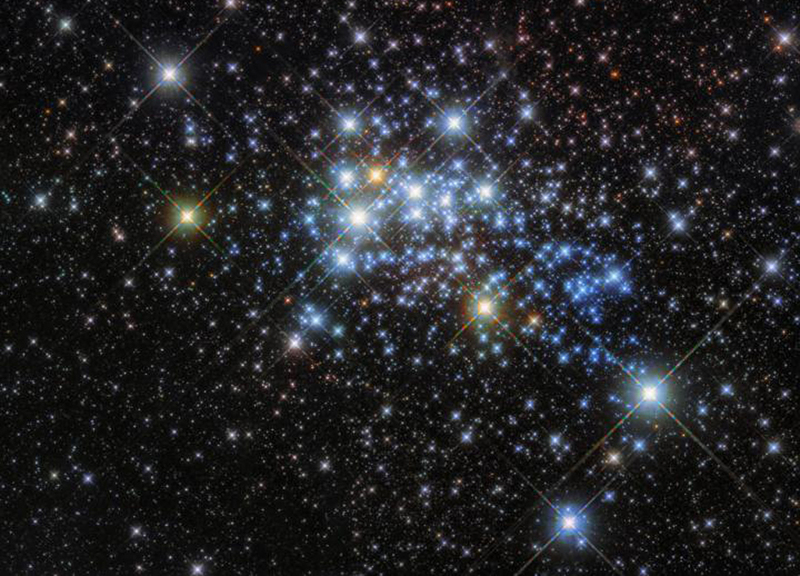 While studying and classifying the cluster's constituent stars, astronomers discovered that Westerlund 1 is home to an enormous star. Originally named Westerlund 1-26, this monster star is a red supergiant (although sometimes classified as a hypergiant) with a radius over 1,500 times that of our sun. If Westerlund 1-26 were placed where our sun is in our solar system, it would extend out beyond the orbit of Jupiter. Most of Westerlund 1's stars are thought to have formed in the same burst of activity, meaning that they have similar ages and compositions. The cluster is relatively young in astronomical terms --at around three million years old it is a baby compared to our own sun, which is some 4.6 billion years old.